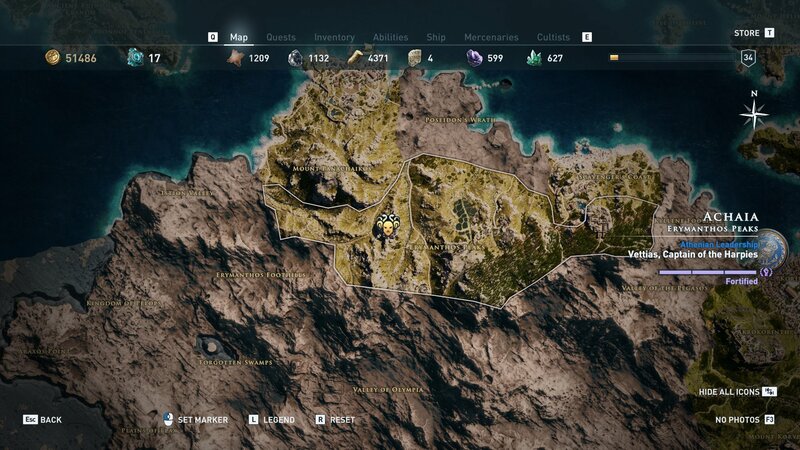 Locate all members of The Silver Vein wing from the Cult of Kosmos in Assassin's Creed Odyssey. 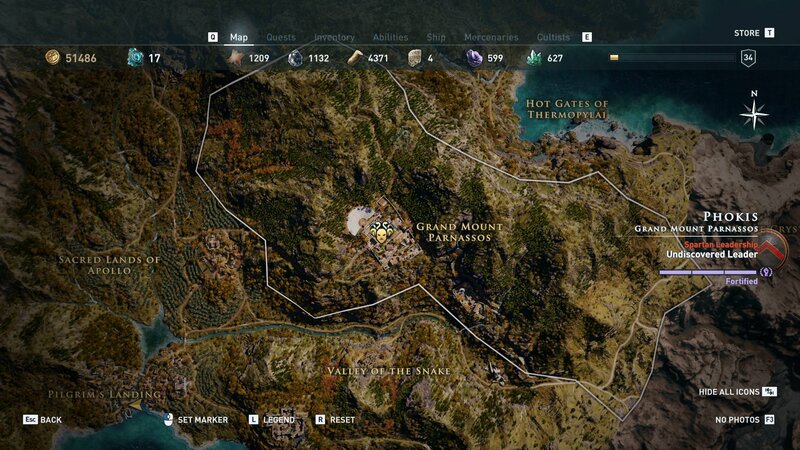 One of the best ways to get gear in Assassin’s Creed Odyssey, as well to progress the main story and other activities, is to hunt and kill Cult of Kosmos members around Ancient Greece. This is one of the biggest undertakings of your experience as each cultist needs to be discovered through a series of clues that can range from being handed to you to sitting in a chest at the bottom of the ocean. 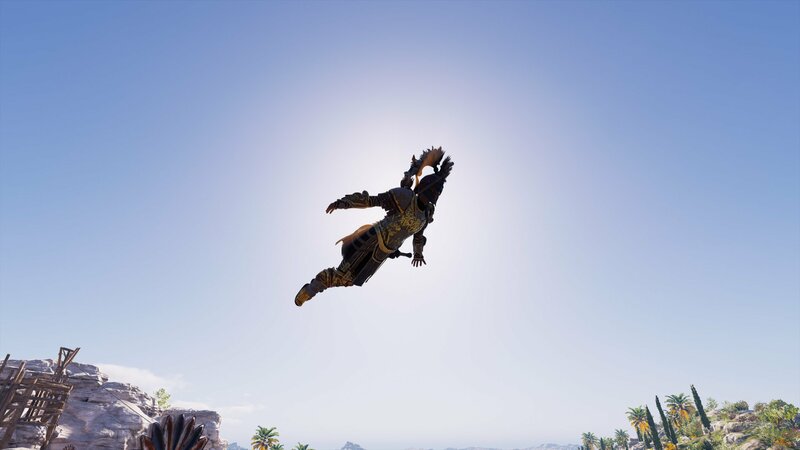 Today, however, I’ll give you all the required information to hunt and kill the Silver Vein wing of the Cult of Kosmos and unlock the Agamemnon Set, the Elysian Axe, all legendary items. This cultist is killed through story progression. Can't be missed. The first member of The Silver Vein that you kill will be done through a story missions, so there’s no fear that you can miss this guy or be under leveled. The moment you get the Cultists tab in your inventory, Epiktetos the Forthcoming should already be dead. The Chimera was easy to kill with a Predator Shot arrow from range. The Chimera gives mixed reports on what her level is, but she’s level 20. She should be unlocked from the moment you have the list, so once you get close to level 20 you can hunt her. She’s got a few guards with her, but a Predator Shot to the head drops her easily enough if your character is configured for a bit of Hunter damage. Don't forget to confirm the kill once the guards have been eliminated. Sneak into his cave, avoiding the guards outside if at all possible. The Centaur of Euboea should be unlocked as soon as you get the list. There are guards outside of the abandoned mine and inside, so you’re probably going to have a fight on your hands. Try sneaking into the mine without conflict to make your life easier. Tucked away on a small island, The Silver Griffin is an easy target. The clue to find The Silver Griffin is in the Silver Mine, part of the Silver Mountain region in Attika. Inside this mine there will be a legendary chest, and the Slaver’s Gift clue is inside. This will unveil both the identity of The Silver Griffin, and his location. Using Predator Shot from your ship, kill this cultist long before you're supposed to. 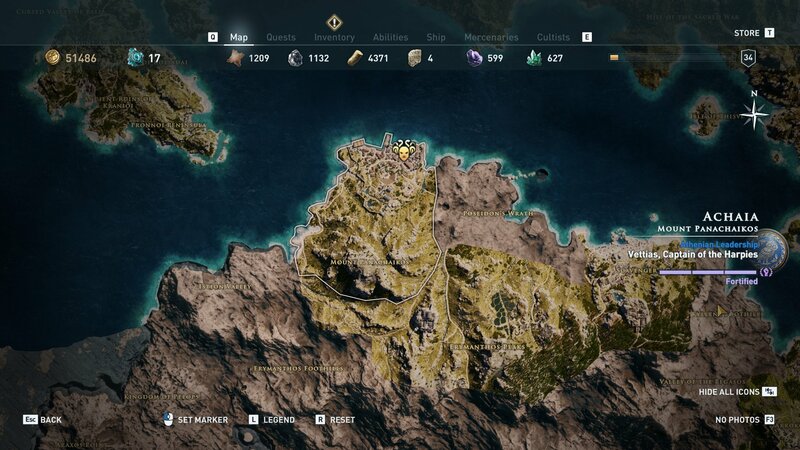 The Dead Man’s Note clue to finding Machaon the Feared is in Shipwreck Cove, part of Scavenger’s Coast in Achaia. It can be found sitting on a rock. 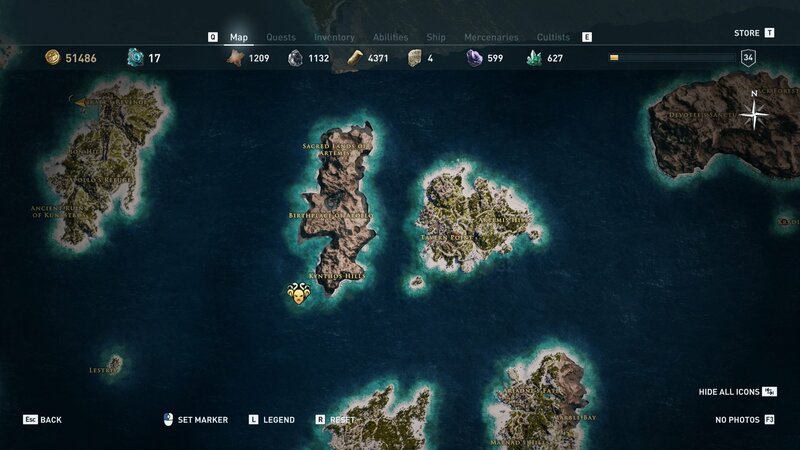 Loot the dead body to unveil the location and identity of Machaon the Feared, who is hanging out just along the coastline from where you are when you find the clue. 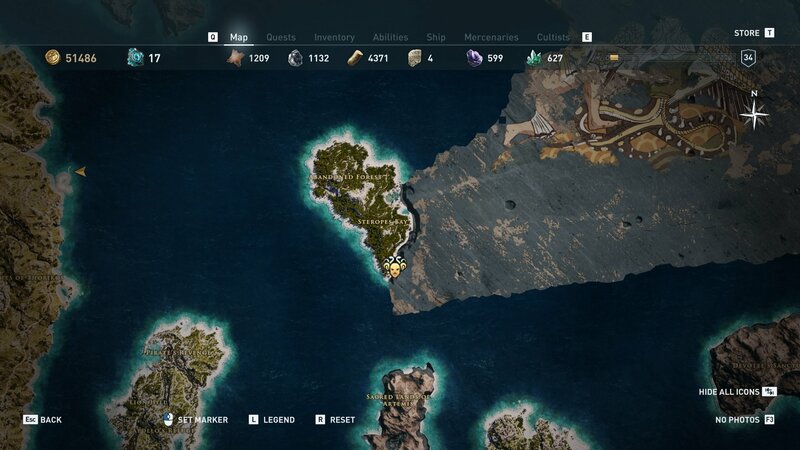 If you are under leveled, park your ship next to the shore and use Predator Shot to slowly kill him. Might take 100 arrows, but he'll never attack you if you stay on your ship. Another cultist that is easy to kill if you are creative with your Hunter damage and bow skills. Polemon the Wise is the Sage for The Silver Griffin wing of the Cult of Kosmos. He is only revealed after you eliminate the other five members, each dropping a clue. However, Polemon the Wise can be killed while you’re extremely under leveled. Stand on top of the building he’s in and use your bow to whittle his health away slowly. Predator Shot and Ghost Arrows of Artemis will do the trick, and at level 33 I snagged over 43,000 XP by killing him and completing The Silver Vein quest. 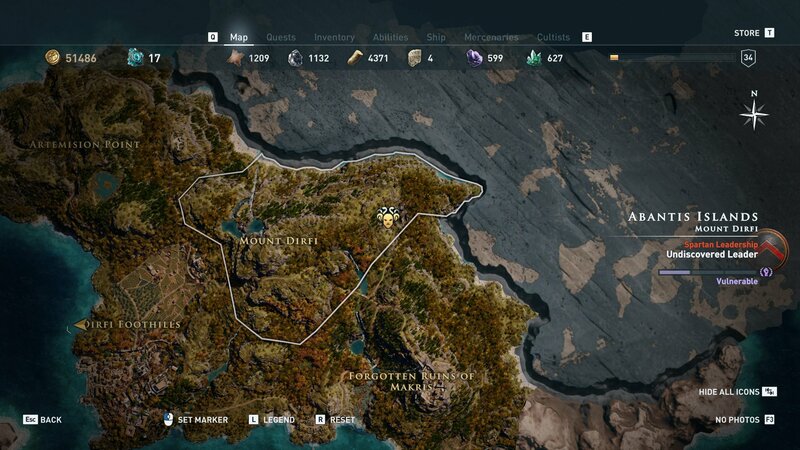 Now that The Silver Vein has been completed and all cultists eliminated, get more help tracking down the worst that Ancient Greece has to offer with our Assassin’s Creed Odyssey walkthrough and guide.